July is National Ice Cream Month! This is a rambling review and recipe post that has been a long-time coming. I'm weird that way. I like to really use a book a lot before I review it and to be honest with y'all in every way. 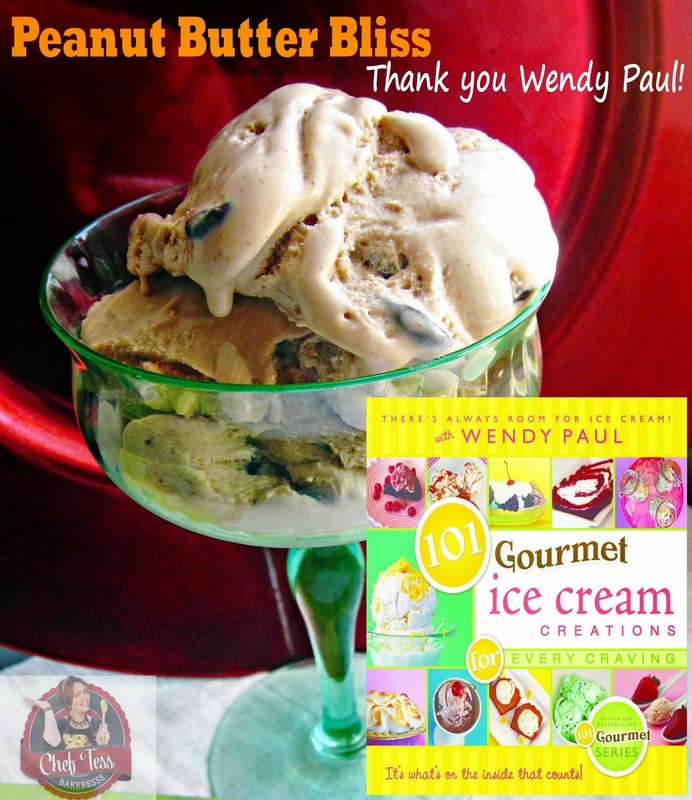 About a year ago I purchased the book, 101 Gourmet Ice Cream Creations Here from Amazon. At the time it was one of the new books from my darling, adorable friend and fellow cookbook author, Wendy Paul ( 101GourmetSeries). 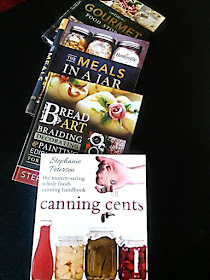 She's written quite a few amazing cookbooks and every one I have purchases I have loved. Plus. 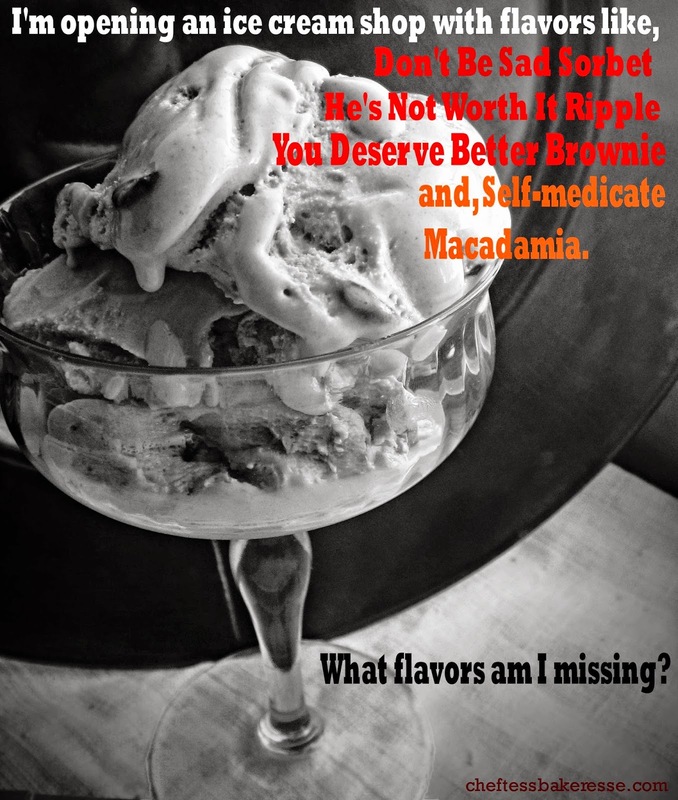 I just love ice cream (for all the right reasons). I can admit that initially buying an ice cream book seemed strange for a pastry chef, but this was, at the time, an area that I felt like I could improve my skills. I, for some reason, found ice cream making to be intimidating. Say no more. I bet there are a few out there who would totally agree with me. It seemed cheaper to me to just buy pre-made ice cream and then...I got the book. Boom! Wendy made me a pro. Well...the book made it simple anyway. So that means I'm keeping this one. Sorry dudes. I can't fly to Utah this week and get her to sign another and I just can't part with the autographed copy...It is toooo pretty. Can I admit that I squealed like a little girl and ran into show my kids that Wendy signed it? Can I also admit that they looked at me like I was a freakin' loon? I don't care. Loonie moms unite! 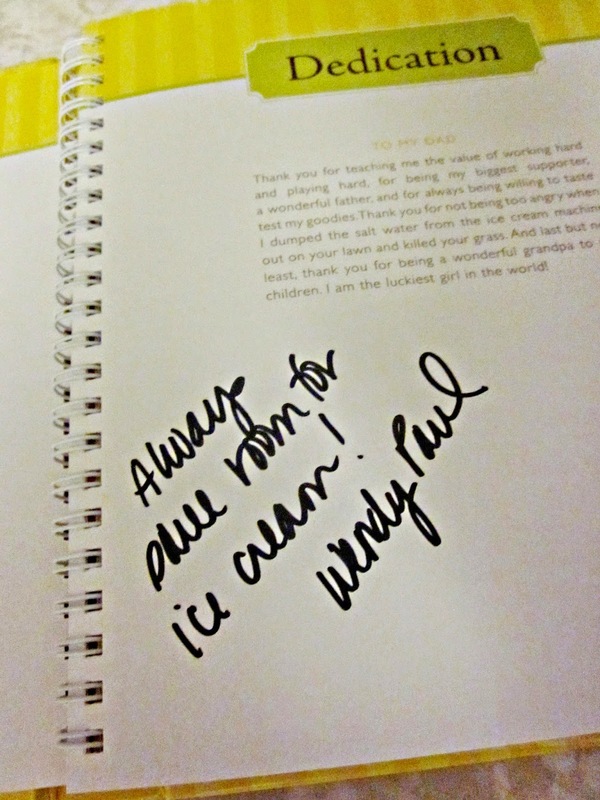 Wendy touched my copy of the book. Okay. Now I'm just being mean. Here the deal. I can't part with this copy. I can't. I can however part with 3 more copies from Amazon. Pay attention. I'll tell you how to win. One thing I've really loved about Wendy's book is that it gives simple recipes in the beginning of the book called, "The Basics". Those recipes are the base for all the ice cream variations in the book so it makes it very very simple for anyone to create something awesome. You know what I loved best? 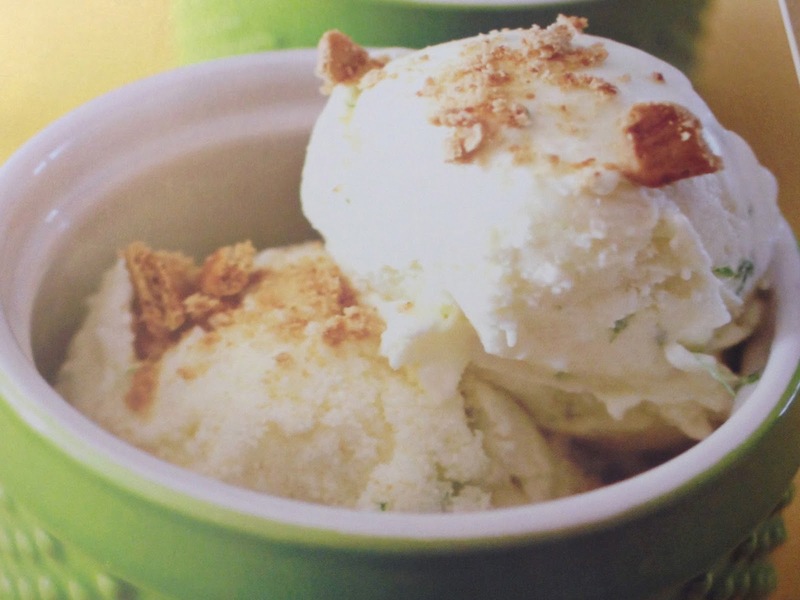 The recipe for the basic ice cream was just four ingredients. Four. Simple. Ingredients. Nothing gourmet or hard to find. Simple. From that basic she makes things like maple bacon ice cream, roasted strawberry ice cream, Silky fudge, mint truffle...the list goes on and on 101 times. Yup. I'm converted. by Wendy Paul ( Here from Amazon) Shared by permission. 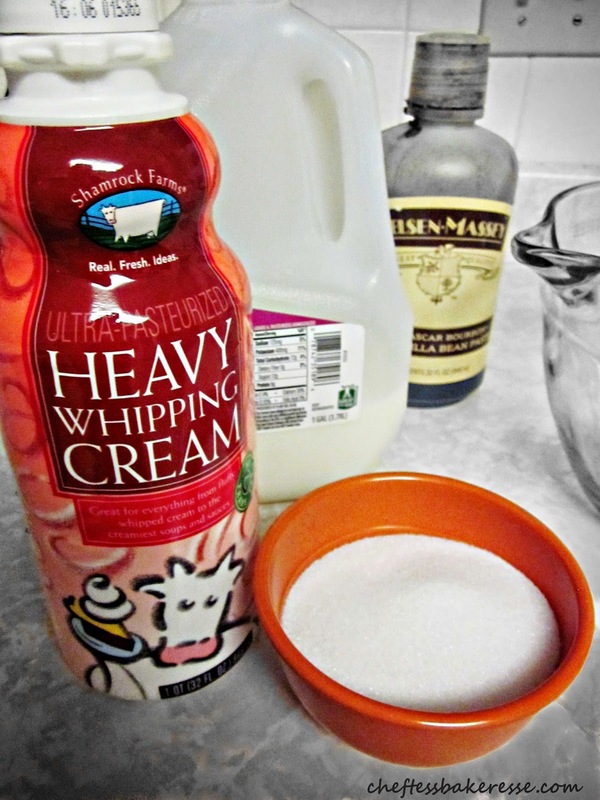 "This recipe contains less fat than Rich and Creamy Vanilla, and does not have any eggs in it. Perfect for specific dietary needs, but still has the heavy creamy texture you desire. Whisk together all ingredients until combined. Transfer your cream liquid into your ice cream machine and make according to manufacturers directions." Wendy Said, "Yes, of course I had to include key lime in this recipe book. It wouldn't be complete without it. It’s a keeper!" Add the lime zest to your Basic recipe, whisking together until combined. Place mixture in your machine and follow manufacturers directions in freezing. The last 5 minutes of the freezing process, add the lime juice and the crushed graham crackers. 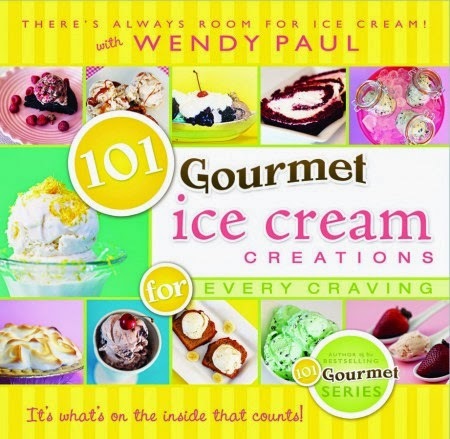 Amazon book purchases of 101 Gourmet Ice Cream Creations are Here. Okay. So here's the deal on the giveaway. I'm giving away 3 copies, One copy to three different people. Shipped from Amazon. If you want to participate here's what you need to know. Must have a non-PO box mailing address (US residents only). Winner will be chosen at random and announced Monday July 21st. Leave a comment below telling me your favorite flavor of ice cream. 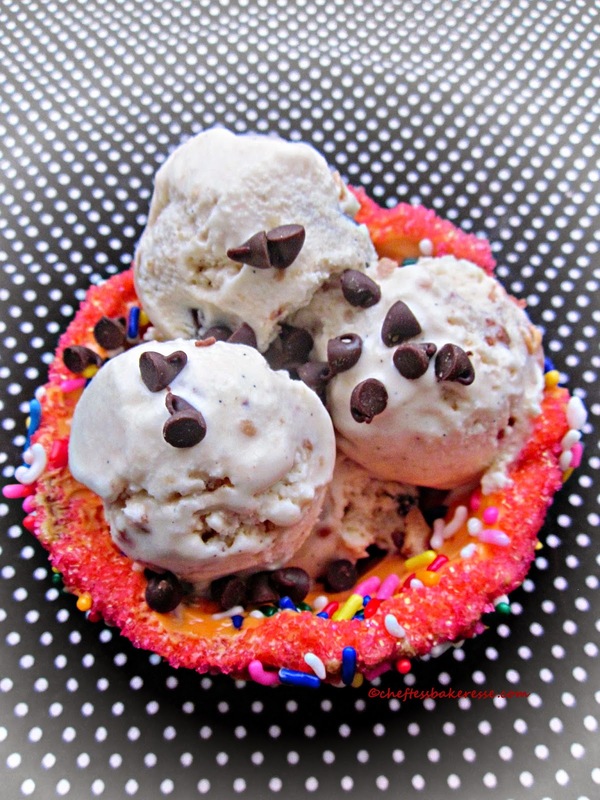 PLUS Send an e-mail to chef-tess@hotmail.com Telling me your name and "I love Ice Cream!" to enter. That's the only way I can contact you darlings. I'm not collecting or selling e-mail addresses. Winners will be chosen and contacted Monday July 21st by midnight. There you go darlings! Ice cream is coming your way!! I hope you win a copy of this book. I for one know I can't live without it in my kitchen collection. It is perfection! PEACH is my favorite!!!! Mouth watering now for some. Haha!! 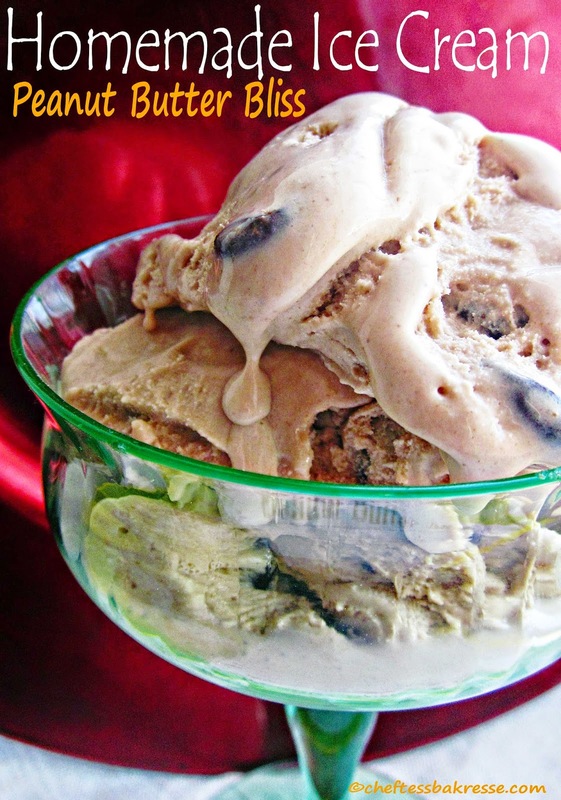 I love chocolate caramel pecan turtle ice cream! It tastes just like the candies! Being from Georgia-I must say PEACH is my favorite ice cream! A good strawberry ice cream is wonderful, but surprisingly hard to find! My favorite ice cream is peanut butter cookie dough. My favorite is mint chocolate chip. I also like other rich, complex flavors such as bear claw, bunny tracks, or moose tracks. Sea salt caramel is my newest favorite! Cookies-n-Cream. My family will eat gallons of it. My daughter just discovered mint chocolate chip. I LOVE Brownies in my ice cream with chocolate syrup! My fav is Black Cherry...yum yum! Book would be a great bday present for me. My bday is July 20. July 20 is my bday...what a great present the book would be! My fav is black cherry. Looks so yummy and is great for my 15 year old grandson who has high cholesterol. Thanks!